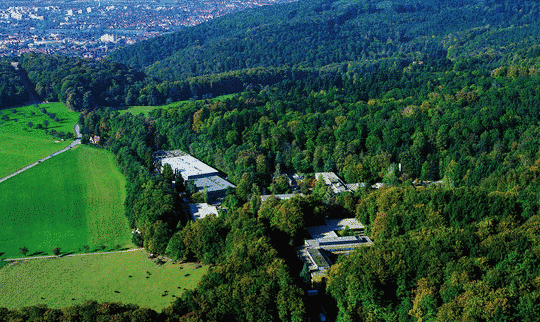 The workshop will be held at the Max Planck Institute for Nuclear Physics , Saupfercheckweg 1, 69117 Heidelberg, Germany. How to get to MPIK you may see at this web page . Below we provide information about special conference buses we foresee. The preferred hotel area is the "Weststadt" area, from where the old town can be reached by walking. Hotel accommodation is not included with the Conference fee and the participants have to make their hotel bookings on their own. It is strongly recommended to do the reservations as soon as possible. Use of specific hotels is recommended for easily connecting to the Conference Bus Stops in the mornings and evenings. In the mornings the buses depart at 8:45am. The evening departure times from MPIK vary from day to day and are indicated in the conference program. Please provide your bus stop preference as requested in a separate email message. We have at present (21 March 2013) arranged for a limited number of hotel room allocations available to participants of ESD 2013. These room allocations will be held until the given dates only (beginning to middle of May). More choices of hotels in walking distance to Bus Point B are available under this link choosing the location "Heidelberg City" (please check the hotel location and its distance to the Bus Point before booking). Reminder: Regarding both the arranged room allocations and the other hotel options, booking should be done as early as possible.